A quick answer might go something like this: the arts play an important role in contemporary society. They cannot survive or thrive without government support, and therefore, the government should give them the support they need. Standard arguments for government support of the arts usually concern state subsidies. Such subsidies can be either direct or indirect. In countries like Canada and the United States, where government revenues rely heavily on property taxes and income taxes, indirect subsidies tend to be substantial. They occur as tax concessions for donors and tax exemptions for artists and arts organizations. The total of these indirect subsidies far exceeds the amount governments allocate to direct subsidies. Yet direct subsidies such as arts grants awarded by the NEA or the Canada Council for the Arts (CCA) have been the most contentious. They have also drawn the most sustained efforts at justification. A complete case for direct subsidies would need to address three questions: why should government funding be provided? How should it be procured? And what are the optimal means of provision? Philosophically, the first question takes priority. If the question of why such funding should be provided does not receive an adequate answer, questions about procurement and provision distract us from the most difficult justificatory issues. So let me leave to one side questions about how government funding should be procured and provided. To achieve sufficient focus, I shall also set aside arguments proposed by economists and examine only the reasons given by political thinkers to justify direct state subsidies for the arts. Various political theorists and political philosophers have tried to address this topic in the past few decades; I shall discuss three mainstream political justifications of direct state subsidies for the arts. Then I shall sketch a conception of art in public that points toward an alternative case for direct state subsidies. Mainstream political justifications of direct state subsidies fall into two camps, which political theorists label instrumentalism and perfectionism. Instrumentalists and perfectionists disagree in general about the proper role of the state in a pluralist and democratic society. Often their disagreements come down to differences over the relative priority of the right and the good. Should the state restrict its efforts to promoting and ensuring public justice, as instrumentalists believe? Or should it have the more expansive role assigned by perfectionists of furthering human flourishing within its jurisdiction? One will have a different view of state subsidies depending on how one answers such fundamental questions about the state’s proper role. This will become apparent when I discuss a perfectionist argument (Joel Feinberg), a minimal instrumentalist argument (John Rawls), and finally a robust instrumentalist argument (Ronald Dworkin). In contemporary political-theoretical debates about the relative priority of the good and the right (or justice), perfectionists take the side of the good. The perfectionist claims that some forms of life are intrinsically better than other forms, better in the sense that they are more conducive to human flourishing. The perfectionist also argues that the state has a legitimate and necessary role in promoting better forms of life and discouraging worse forms of life. Accordingly, the perfectionist justifies direct subsidies for the arts as ways to carry out the state’s life-perfecting role, because of the intrinsic worth either to artistic endeavors or to the experiences that the arts afford. As David Schwartz points out, perfectionist arguments figure prominently in the charter of the NEA.4 The same applies to the charter of the Canada Council for the Arts. Joel Feinberg takes care not to state in detail what the intrinsic worth of the arts might be. Yet his case for government arts funding follows a perfectionist strategy. Feinberg says that the advocate of direct state subsidies must persuade what he calls “the indignant taxpayer,” who thinks it is unfair to use “government funds derived from mandatory taxation of all citizens in order to promote the esoteric projects of a small number of people.” This indignant taxpayer invokes the following “benefit principle”: “Justice requires that persons pay for a facility in proportion to the degree they benefit from it.”5 In response, Feinberg proposes a noninstrumental justification for direct state subsidies. His central concept is that of “benefit-less” or “intrinsic” value. Whatever one thinks of the distinction between benefit and intrinsic value, there are two problems internal to Feinberg’s argument, both of them highlighted by Richard Manning. First, Feinberg does not show that the “aesthetic value” which makes art intrinsically valuable is itself intrinsically valuable. Second, he fails to answer the objection with which he began: the indignant taxpayer’s “benefit principle” is indifferent to intrinsic value. So to demonstrate that art objects are intrinsically valuable is simply irrelevant to challenges based on the benefit principle. It would be better, says Manning, to state forthrightly that “the benefit principle is false. Justice simply does not demand that I receive quid pro quo from each project funded with my tax dollars.”9 There is much to commend Manning’s response, yet, like Feinberg’s approach, it too fails to answer the indignant taxpayer. In general, Rawls thinks that “human perfections” should be pursued “within the limits of the principle of free association” and should not rely on “the coercive apparatus of the state” to gain advantages: “Thus the social resources necessary to support associations dedicated to advancing the arts and sciences and culture generally are to be won as a fair return for services rendered, or from such voluntary contributions as citizens wish to make, all within a regime regulated by the two principles of justice.”13 If state subsidies for the arts can be justified at all, this will be an exception to the general rule. Combined with the neutrality constraint and the publicity constraint, individualism and the presumption of mutual disinterest leave little room for direct state subsidies of cultural goods such as the arts. Unlike so-called primary goods such as transportation infrastructure or national defense, artistic activities and products embody and advance particular conceptions of the good that not all citizens share. If one adds to such nonneutrality “the fact that many persons do not value—and are sometimes offended by—much contemporary art,” then “a compelling case emerges against classifying art as a primary good.”16 If art is not a primary good, then on a liberal political philosophy it is an unlikely candidate for legitimate state subsidies. In fact, a general tax to support such nonneutral and contested goods are prima facie unjust within a Rawlsian framework. Ronald Dworkin is not happy with this outcome. Like Rawls, Dworkin rejects perfectionist justifications, finding them “elitist” and “paternalistic.”21 Dworkin’s own alternative is a more robust version of the Rawlsian appeal to intergenerational equity, one that justifies state subsidies for arts organizations and artistic creation, not simply for education in the arts. Let me label it “robust instrumentalism.” Dworkin’s justification is instrumentalist because it locates the basis for state subsidies in a type of instrumental value, and it is robust in the sense that this instrumental value pertains to the “aesthetic and intellectual” contribution the arts make and not simply to the political or economic benefits the arts afford. (1) It is better for people to have a rich cultural structure than to have an impoverished cultural structure. (2) Everyone benefits from a rich cultural structure, not simply those who directly carry out the arts-related transactions that build and maintain this structure. (3) The (political?) community as a whole has an obligation to “act as trustees for the future of the complexity of our own culture.”26 (4) This obligation belongs to the “elementary obligation of justice to ensure that future generations inherit a fair share of social resources.”27 (5) The state has the legitimate task of making sure such intergenerational equity is maintained by protecting the (political?) community’s cultural structure. (6) Therefore, on the assumption that direct subsidies are an effective means to ensure intergenerational equity, state subsidies for the arts are justified. By “the arts” in this context, Dworkin means high art. More than Feinberg and Rawls, Dworkin reduces a cultural deficit in mainstream justifications for government arts funding. He recognizes that to justify such funding, the cultural contributions of the arts and the state’s role in supporting and protecting those contributions need to be front and center. Yet this reduction of the cultural deficit comes at the price of internal inconsistencies in his philosophy. His critics have noted three areas of inconsistency: economic anthropology, cultural philosophy, and political theory. When combined, these inconsistencies render his approach problematic. The inconsistency in “economic anthropology” occurs between two different views of the individual. Are individuals simply rational maximizers of utility whose freedom consists in the unimpeded satisfaction of their own wants and preferences, as political liberals tend to suppose? Or are individuals members of a cultural community who participate in a common culture and for whom shared participation matters, as the obligation to preserve a rich cultural structure strongly suggests?30 Until Dworkin actually establishes that everyone has a shared and central interest in the cultural life of his or her community or polity, which as a good liberal he should not do, his robust instrumentalism cannot succeed. Dworkin’s robust instrumentalism also runs into problems with political liberalism’s publicity constraint. The publicity constraint implies that the state’s subsidizing of the arts should have accessible and understandable reasons and should be manifestly just.32 Although Dworkin, like Rawls, subscribes to this constraint, the appeal to a rich cultural structure violates it, because of indeterminacy: it is very difficult to say in advance how either supporting artistic innovation or maintaining traditional high art will actually contribute to the structure of culture. Hence, says Brighouse, “[T]he opponent of funding for the arts who denies or doubts that the purported benefit will ever accrue is being perfectly reasonable. The fact of indeterminacy makes it impossible to demonstrate publicly that the expenditure has the intended effects” and very difficult to show that the justification “is in fact neutral, even when it is.”33 Thus, robust instrumentalism violates the publicity constraint to which a political liberal such as Dworkin nonetheless subscribes. We commonly use the term “public” with reference to art in one of three ways. First, “public” can mean that the art in question has been sponsored by local, regional, or national governments or is in fact owned and administered by the state. This is one sense in which one can call the Vietnam Veterans Memorial in Washington, D.C., a work of “public art.” Although its creation was funded by nongovernmental donations, it is managed and maintained by the U.S. National Park Service. A second usage of “public” calls attention to art that is subsidized by the state, whether at the local, regional, or national level. We most frequently use the term in this sense to identify art that receives direct state subsidies, such as an exhibition or performance supported by grants from the NEA or CCA, and speak then of “publicly funded art.” There is a third sense in which art can be called public, namely, that it occurs in public media or public spaces—for example, concerts presented by public broadcasters such as the Canadian Broadcasting Corporation (CBC) and National Public Radio (NPR) in the United States. We can speak in this connection of “publicly presented art.” Here, however, the term “public” can lose direct links to the state control or funding, for we often use “public” to talk about media and spaces that are not sponsored, owned, or directly subsidized by the state—commercial television, for example, or nonprofit museums that do not receive government funding. To these three well established usages we can add a more recent usage, namely, the term “new genre public art.” Although some of the projects given this label receive government sponsorship or funding, that is not what characterizes them as “public.” Rather, their public character has to do with their aiming to “communicate and interact with a broad and diversified audience about issues directly relevant to their lives,” and to do so in a collaborative fashion.34 This usage makes the link between state and public even less direct. Once one notices how complex the relation is between the state and the arts, and the elastic usage of the term “public” in connection with the arts, very little of the art intended for some audience appears “private” in the strict sense. In fact, the traditional distinction between “public” and “private,” which is problematic in any case, seems ever less applicable to the arts.36 To recognize such complexity and elasticity, I have coined the phrase “art in public.” By “art in public,” I do not mean simply state-sponsored, state-owned, directly state-subsidized, or indirectly state-presented art, even though art in public can and usually does include “public art,” “publicly funded art,” and “publicly presented art.” I use “art in public” to refer to any art whose production and use presupposes government support of some sort and whose meaning is available to a broader public—broader than the original audience for which it is intended or to which it speaks. Given the ubiquity of state involvement in culture, the dissemination of new genre public art, and the proliferation of computer-based technologies for creating and experiencing art, much of contemporary art has become art in public, regardless of how direct or indirect are its links to the state. The concept of art in public has immediate relevance for political justifications of direct state subsidies. The standard justifications, whether perfectionist or instrumentalist, presuppose a static and fixed boundary between artistic creation and experience, on the one hand, and matters of state, on the other. They also assume that for the most part, atomic individuals privately create or experience discrete works of art either to satisfy their aesthetic needs or to achieve some other end. Even when inconsistently modified by Dworkin’s emphasis on a “rich cultural structure,” the dominant framework is individualist with respect to who participates in art, privatist with respect to where their participation occurs, and instrumentalist with respect to how it occurs. The phrase “art in public” challenges these mainstream assumptions. On the one hand, it suggests that the state is always already present in the societal constitution of contemporary art and that very little artistic creation and experience would occur without the state’s fiscal and regulatory involvement. On the other hand, because much of contemporary art is public in orientation, we can no longer regard art as a field in which unattached individuals carry out private transactions with discrete objects that either have intrinsic value or give rise to external benefits. Rather, we need to devise a postindividualist, nonprivatist, and communicative framework for understanding both the recipients and the rationale of government arts funding. Specifically, we must identify the role of art in civil society and discover both how and why direct state subsidies can and should strengthen this role. To be sure, there will be some continuity between art’s role in civil society and concepts such as Dworkin’s “rich cultural structure” and Rawls’s “intergenerational equity.” Yet the framework surrounding these concepts will change, thereby altering the concepts themselves. The new framework will recast the by-now hackneyed debate between advocates and opponents of government arts funding. That debate sets up an opposition between either advocating for state subsidies or embracing a supposedly free market. The debate thereby ignores just how important a role the state plays in art’s societal constitution, regardless of whether direct state subsidies are involved. The debate also entirely overlooks the public orientation of much contemporary art, which does not simply occur in some private domain. And the debate fails to recognize the sociocultural reasons why the arts are important to both civil society and the state. To uncover the sociocultural reasons why the arts are important to both civil society and the state, we need to say something about civil society. “Civil society” is a contested concept in the social scientific literature. I do not have space here to review the relevant debates, but I will describe my own conception of civil society. 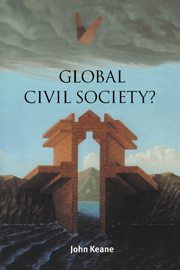 I regard civil society as one of three macrostructures in contemporary Western societies. The other two macrostructures are the for-profit (or proprietary) economy and the administrative state. Whereas the economy and the state are highly integrated systems that operate according to their own logics, civil society is a more diffuse array of organizations, practices, and social movements. It is the space of social interaction and interpersonal communication, the space where economic alternatives can thrive and informal political publics can take root. I call the second intersection—that between civil society and the state—“the public sphere.” The public sphere is a continually shifting network of discourses and media of communication within which and through which social groups and individuals seek wider recognition, social movements and social classes struggle for liberation, and cultural practices and products achieve general circulation. The public sphere provides locations and procedures for open-ended conversations and debates about social justice and the common good. It can generate and sustain widespread participation in the shaping of societal structures that affect everyone. The public sphere is essential to any modern democratic society. It facilitates challenges to the operations of the economic system and the administrative state that open these to non-monetary and non-administrative considerations. Within civil society itself, the public sphere serves to promote democratic communication and to encourage discursive will formation. Hence, the public sphere has broad political significance in two respects: it can serve as a precondition and modifier of democratic potentials in economic and political macrostructures, and it can further the creation of a democratic culture within civil society. Now I can begin to lay out a justification of direct state subsidies for the arts. The case I wish to make pertains specifically to art in public insofar as it occurs within civil society, has a nonproprietary and nongovernmental form of economic organization, and circulates within the public sphere. I would argue that the focus of state subsidies for the arts, and of the requisite justification, does not lie in generic “benefits” such as intergenerational equity. Nor does it lie in an “intrinsic value” such as aesthetic value per se. Rather, it occurs at the intersections among economy, polity, and civil society where significant pressures and contributions arise. They arise there due to the societally important aesthetic worth of arts that have a specific form of economic organization and perform a specific type of political role. The form of economic organization in question is that of the legal or customary not-for-profit firm; the political role is that of public communication. The question of state subsidies arises most pertinently with respect to the sociocultural importance of nonprofit organizations dedicated to fostering what I would call “art in public.” Examples of such organizations could include public art museums, community-based theater groups, and noncommercial symphony orchestras. To see why the question of state subsidies is most pertinent here, we need to recognize a double dialectic. This dialectic unfolds where civil society links up with the economic system and the administrative state. One side of the dialectic is economic. On the one hand, nonprofit arts organizations provide important socioeconomic alternatives to both the capitalist marketplace and the administrative state. Being set up to promote societally important aesthetic worth, nonprofit arts organizations offer a real economic alternative. Moreover, for-profit firms need this alternative, not merely as providing an inexpensive avenue to creative talent and corporate self-promotion, but more significantly as holding open possibilities for doing business differently and for different reasons. On the other hand, the most dramatic threats to civil society, and to art as a sociocultural good, come from the financial imperatives of a global capitalist economy dominated by transnational corporations. Following its own logic of money, global capitalism threatens to wipe out any form of economic organization that does not make monetary objectives primary and does not fully embrace commercial strategies. Hence, in the interests of preserving creative economic alternatives to a hegemonic economic system that also conflicts with state imperatives, governments do well to protect and subsidize nonprofit arts organizations. Because nonprofit arts organizations strengthen the social-economic fabric of civil society, without which the capitalist market itself would implode,39 they warrant government support. The other side to this macrostructural dialectic is political. It occurs between the communicative role of the arts and the imperatives of state power. On the one hand, art in public has a central role to play in the articulation of issues and interests that require government attention. Because this articulation occurs in an aesthetic register, it affords access to public issues and interests in ways that open rather than close conversation and debate. On the other hand, the administrative state is organized as a relatively self-sustaining system. Following its own logic of state power, it puts enormous pressures on the public sphere in which such art participates. These pressures impede the disclosure of public matters that democratically elected governments nevertheless require. In the interests of preserving avenues for critique and redirection of the state’s own systemic imperatives, then, governments do well to protect and subsidize nonprofit arts organizations that sponsor art in public. Thus, my alternative to mainstream justifications for government arts funding highlights the political and economic structures to which the arts contribute and on which their flourishing depends. Nonprofit art in public needs government protection and support precisely because an administrative state and a capitalist market economy pose threats to civil society, even as both systems require a robust civil society to continue. Contemporary arts need government regulations and subsidies that protect the public sphere to which they contribute and that strengthen the social economy in which they participate. Both as elements and as agents of civil society, nonprofit arts in public are sociocultural goods that merit and require government support. I have said in passing that art in public is a “sociocultural good.” I have also made reference to its “societally important aesthetic worth.” These are my ways of acknowledging but transforming the correct intuitions within Dworkin’s notion of a “rich cultural structure” and Feinberg’s notion of “aesthetic value.” Let me explain. I have argued elsewhere that the arts today are societal sites for imaginative disclosure. This gives the arts a very important role in civil society. People in the contemporary West turn to the arts in order to find cultural orientation. “Cultural orientation” has to do both with discovering purpose and meaning and with learning why purpose and meaning are absent. People look to the arts for cultural orientation because the arts have developed in the West as organized settings for exploring, presenting, and creatively interpreting multiple nuances of meaning. This suggests that the distinction between intrinsic value and instrumental benefits, as it informs standard justifications for government arts funding, cannot be accepted at face value. The aesthetic worth of the arts is not peculiar to them: many other practices and institutions have aesthetic worth. But neither is the aesthetic worth of the arts somehow instrumental to nonaesthetic ends: whatever the arts can contribute to other practices and institutions in society will occur in the process of imaginative disclosure, not by means of imaginative disclosure. So the mainstream model of intrinsic and instrumental value, of ends and means, should yield to a model of sociocultural mediation. Accordingly, my justification for direct state subsidies does not claim à la Feinberg that the arts contain or provide an intrinsic aesthetic value so important that it warrants government support. Nor do I claim that the arts contribute either to general economic conditions (Rawls) or to a rich cultural structure (Dworkin) that the state is obligated to preserve for future generations. Rather I argue that, by virtue of being positioned in civil society via a civic sector and a public sphere, the imaginatively disclosive character of art in public fulfills important economic and political roles that it is in the public interest to protect, support, and promote (see Table 1). *Note: The shaded blank row indicates that the proposed alternative below it does not use the standard distinction between extrinsic and intrinsic goods. I discuss the arguments of mainstream economists in a chapter of Art in Public: Politics, Economics, and a Democratic Culture, which will be published by Cambridge University Press. Arts-generated imaginative disclosure matters to democratic governments because, as an administrative system, the state resists nuanced consideration of public matters and becomes vulnerable to legitimation crises. These arise in part from the state’s own cultural tone-deafness. Among the institutions of contemporary society, it is the arts, and specifically nonprofit arts in public, that are set up to emphasize nuanced consideration of public matters, not as a mere side effect, but as intrinsic to their mediated hermeneutical character. The special contribution of art in public is to help people carry out explorations and presentations and interpretations in an imaginative fashion, to help them disclose in fresh and insightful ways the felt quality and lived experience of concerns that merit public attention. Products and events of art in public that accomplish this sort of imaginative disclosure exemplify and foster critical and creative dialogue both within various publics and among them. Because government needs what these arts offer, and because what they offer often has the additional advantage of not being overtly political in the formal sense, nonprofit arts in public merit government support. Understood along these lines, art in public can have political relevance without being overtly political. The AIDS Quilt project, for example, mobilized countless individuals and families in the United States to remember in a public way the loved ones they had lost. On display in sections at many different locations over several years and eventually arrayed in 1996 as one huge tapestry on the Washington Mall in the nation’s capitol, it neither harangued politicians nor directly criticized the medical establishment. Yet it reminded everyone who experienced it, whether as a quilt maker or as a site visitor or as a member of the media public, of a widespread tragedy that needed political responses: informal responses of information-gathering and advocacy as well as formal responses of legislation and public policy. Not only did the AIDS Quilt remind us, but it also encouraged us to engage in political action. In these ways, it supported and furthered democratic communication and discursive will formation with respect to matters that, although experienced in unique ways by many individuals and families, nonetheless are of general concern. It offered profoundly moving and politically relevant imaginative disclosure. Reduced to its underlying structure, my case for direct state subsidies has three components: cultural, political, and economic. Culturally, it claims that the arts are institutional settings for imaginative disclosure that is societally important. Politically, it claims that, to promote public justice, democratically elected governments need to protect and support art’s creative articulation of issues and interests in the public sphere. And economically, it claims that nonprofit arts organizations in the civic sector provide important social-economic alternatives that are both needed and threatened by the capitalist market and the administrative state. No one component in itself would justify direct state subsidies. Only when the three components come together does a case for direct state subsidies emerge. This sociocultural approach does not pretend to satisfy indignant taxpayers. Instead, it rejects the truncated vision of art and civil society that not only informs their “benefit principle” but also misdirects every mainstream response. 1. Gary O. Larson, American Canvas: An Arts Legacy for Our Communities (Washington DC: National Endowment for the Arts, 1997), 150. 2. This essay is the revised text of a keynote lecture presented on March 6, 2009, at the conference Art and Social Responsibility: The Interdependence of the Arts and Civil Society. The conference was hosted by the Institute for Christian Studies in Toronto, cosponsored by the Centre for Ethics at the University of Toronto, and supported by a research grant from the Social Sciences and Humanities Research Council of Canada (SSHRC). The author wishes to thank the conference participants for their insightful comments. 3. David Throsby, “The Production and Consumption of the Arts: A View of Cultural Economics,” Journal of Economic Literature 32 (March 1994): 1-29. 4. David T. Schwartz, Art, Education, and the Democratic Commitment: A Defense of State Support for the Arts (Dordrecht: Kluwer, 2000), 13-14. Schwartz’s chapter on “The Tradition of Subsidy” (13-44) gives a lucid account of perfectionist justifications and of both their political and aesthetic deficiencies. 5. Joel Feinberg, “Not with My Tax Money: The Problem of Justifying Government Subsidies for the Arts,” Public Affairs Quarterly 8 (April 1994): 102. 9.Richard Manning, “Intrinsic Value and Overcoming Feinberg’s Benefit Principle,” Public Affairs Quarterly 8 (April 1994): 139. 10. I focus on “neutrality of reasons” (what Will Kymlicka calls justificatory neutrality) and leave aside concerns about “neutrality of outcomes” (what Kymlicka calls consequential neutrality) because, as Schwartz puts it, holding that public policies should not have effects that benefit one particular conception of the good “makes the neutrality ideal too stringent to be workable” (Schwartz, Art, Education, and the Democratic Commitment, 42n16). 11. There is an economic basis for concerns along these lines if one considers outcomes and not merely reasons. Numerous studies show that federal arts funding in countries like the United States and Canada has overwhelmingly supported mainstream organizations and activities controlled and enjoyed by those who are wealthier and “better educated.” Because every citizen is subject to the income taxes and property taxes that make this funding possible, government arts funding with such outcomes amounts to a state-sponsored transfer of wealth away from those who are less well off. See John W. O’Hagan, The State and the Arts: An Analysis of Key Economic Policy Issues in Europe and the United States (Cheltenham, UK: Edward Elgar, 1998), 53-63. 12. Harry Brighouse, “Neutrality, Publicity, and State Funding of the Arts,” Philosophy and Public Affairs 24 (Winter 1995): 41. 13. John Rawls, A Theory of Justice (Cambridge, MA: Harvard University Press, 1971), 329. The two principles of justice are equality in the assignment of basic rights and duties and fairness in the arrangement of social and economic inequalities. For an explication of these principles, see Rawls, 54-117 and 302-3. 14. Samuel Black, “Revisionist Liberalism and the Decline of Culture,” Ethics 102 (January 1992): 245-6. 16. Schwartz, Art, Education, and the Democratic Commitment, 22. 17. Rawls, A Theory of Justice, 332. 18. See Rawls, A Theory of Justice, 284-93; and Black, “Revisionist Liberalism,” 254-5. 19. Black, “Revisionist Liberalism,” 255. 21. Ronald Dworkin, “Can a Liberal State Support Art?” in A Matter of Principle (Cambridge, MA: Harvard University Press, 1985), 222. 24. Ibid., 229. Although Dworkin does not explicitly define this notion of an artistically generated and rich cultural structure, it is strongly implied by his description of art as part of a shared language. 25. For a different but not incompatible reconstruction of Dworkin’s argument, see Black, “Revisionist Liberalism,” 254. 26. Dworkin, “Can a Liberal State Support Art?” 232. 27. Black, “Revisionist Liberalism,” 254. 28. Dworkin, “Can a Liberal State Support Art?” 233. 30. Black, “Revisionist Liberalism,” 256. 31. As Black puts it, robust instrumentalists “enlist our support for high culture not because of its alleged intrinsic value or democratic support but on the grounds of its objectively fecund properties. This, however, is a bad argument. It has the rather strange implication that the members of society, including its poorest members, should be compelled to sacrifice part of their income share in order to subsidize cultural options for posterity, to which they themselves purportedly assign no value” (Ibid., 258). 34. Suzanne Lacy, “Cultural Pilgrimages and Metaphoric Journeys,” in Mapping the Terrain: New Genre Public Art, ed. Suzanne Lacy (Seattle, WA: Bay Press, 1995), 19-20. 35. On the topics of regulation and taxation, see O’Hagan, The State and the Arts, 73-130. 36. Hilde Hein, Public Art: Thinking Museums Differently (Lanham, MD: AltaMira Press, 2006) notes this tendency yet continues to use a distinction between “private art” and “nonprivate art” (which includes “public art”). I take up her discussion elsewhere. 37. This formulation aims to avoid the “civil society purism” rightly criticized by John Keane, Global Civil Society? (Cambridge, UK: Cambridge University Press, 2003), 57-65, but without duplicating his mistake of including proprietary organizations in civil society. I comment on Keane’s approach at greater length in Lambert Zuidervaart, Social Philosophy after Adorno (Cambridge, UK: Cambridge University Press, 2007), 171-5. 38. Zuidervaart, Social Philosophy after Adorno, 129. 39. On the importance of civil society to a market economy, see Keane, Global Civil Society? 75-88. 40. Charles Taylor, “Irreducibly Social Goods,” in Philosophical Arguments (Cambridge, MA: Harvard University Press, 1995), 127-45. 41. Lambert Zuidervaart, Artistic Truth: Aesthetics, Discourse, and Imaginative Disclosure (Cambridge, UK: Cambridge University Press, 2004), 215. Lambert Zuidervaart teaches continental philosophy, critical theory, social philosophy, and philosophy of discourse at the Institute for Christian Studies in Toronto, Ontario. He also serves on the graduate faculties of the Philosophy Department and the Toronto School of Theology at the University of Toronto, where he is a Faculty Associate of the Centre for Ethics. Before moving to Toronto in 2002, Professor Zuidervaart taught at the King's University College in Edmonton, Alberta (1981-1985), and at Calvin College in Grand Rapids, Michigan (1985-2002).